The silicone seal strip on Easylock 4-side-lock lid makes it absolutely airtight. 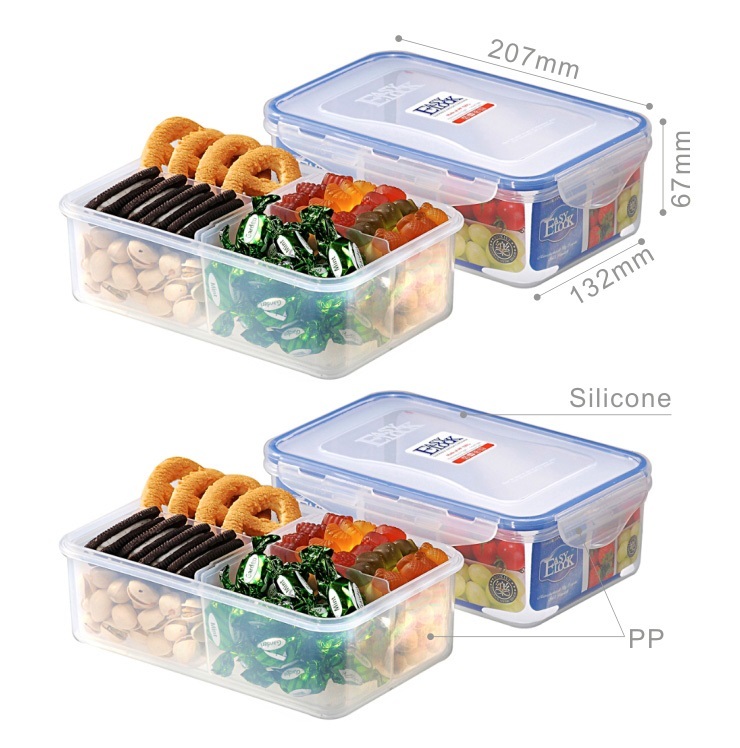 You can put chips, cookies or other snacks in one plastic food container. 2. 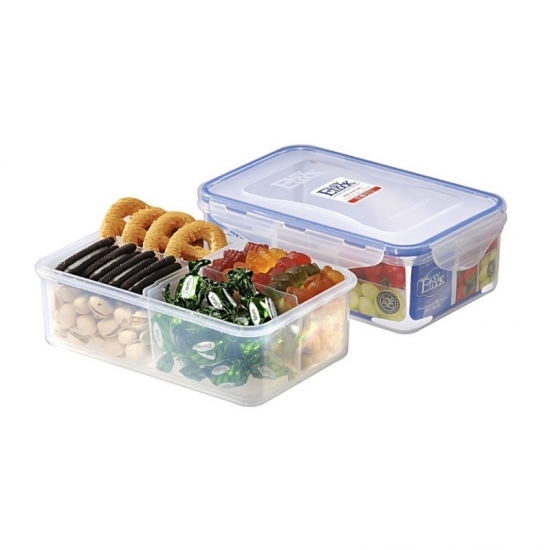 BPA-free Plastic Food Containers. 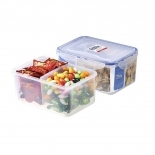 All Easylock plastic food containers are made of Type 5 PP plastic. It's reusable and it's BPA-free, Phthalate-free. 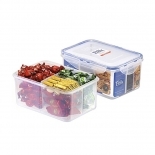 To safe space, you can put on the lids and stack up the food containers one by one in your kitchen. 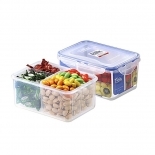 You can also remove the lid and nest the empty plastic food containers in your pantry when it is not needed.